Non-surgical skin treatments are ideal for those who are looking for subtler, gentler, or less invasive solutions to issues like wrinkles, sagging and age spots. What does your skincare regimen look like? Perhaps daily cleanses, weekly exfoliations, and sporadic trips to the spa? While these routines can be extremely helpful for slowing the effects of time and for maintaining healthy skin, both men and women may also benefit from more specialized medical treatments available at the Wellness Medical Spa. Unlike many other medical spas in Montana, the Wellness Medical Spa is not just owned by a doctor – Dr. Pacheco also directly treats patients and directly supervises all treatments. When you schedule your first appointment at our medical spa, you will be evaluated by a doctor in all cases, before procedures or treatment plans are suggested. • Injectable therapies. We offer Botox®, Juvaderm®, Radiesse®, Sculptra®, mesotherapy, and needling techniques – treatments that can combat fine lines and wrinkles with just a few pokes of a needle, and treatments that can be repeated regularly over time. 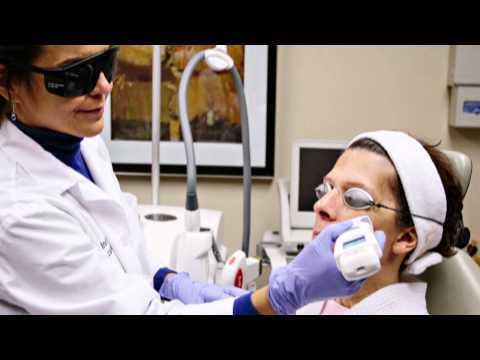 • Laser treatments and laser light treatments. Lasers can accomplish some of the same goals as the scalpel, but with a gentler touch and more precision. 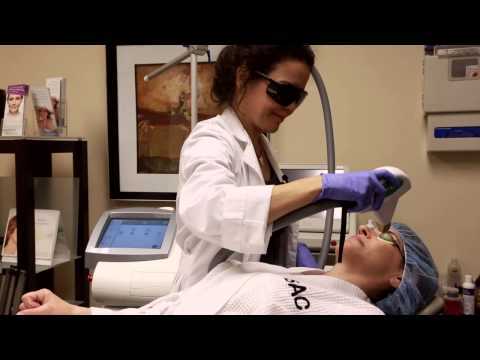 At our medical day spa, we use laser technology to aid patients with skin rejuvenation, hair removal, stretch mark reduction, scar reduction, acne treatments, brown aging spots, rosacea, and facial vessel reduction. • Ultherapy (Ultrasound therapy treatments). Ultherapy is a skin treatment that uses ultrasound energy to lift, tighten, and improve the skin on the neck, chin, and brow. This proven therapy, which only takes a matter of hours, is non-invasive and approved by the FDA. • Medical peels and infusion masks. Also known as chemical peels, this skin treatment can improve the look and feel of skin by removing the top layer of skin via a chemical solution. Medical peels can reduce scarring, erase fine lines, even the tone of your skin, and make your skin feel smoother. Infusion masks rejuvenate and protect the skin after treatment. • Dermaplaning. During a dermaplaning treatment, your doctor will exfoliate the top layer of your skin to reveal softer, smoother, and more even skin below. While the results are similar to those of a medical peel, dermaplaning does not involve a chemical solution and is optimal for removing vellus hair. • Professional, non-toxic skincare products. We offer the full line of Physicians Care Alliance (PCA) Skin® professional skincare products that were designed with the help of medical doctors. From serums, cleansers, and supplements to masks and peels, these clinically-researched, carcinogen-free products are designed to reverse signs of aging and prevent discoloration, dehydration, and wrinkles. • Physician-direction skincare prescriptions. In some cases, our patients require prescription-strength solutions to certain skin conditions. At these times, Dr. Pacheco can examine your skin and recommend a solution that is not available over the counter. To learn more, schedule a consultation today. • Therapeutic makeup. We are pleased to introduce our patients to Jane Iredale skincare makeup. This high-tech makeup is specially formulated to cover redness caused by laser resurfacing. It is non-toxic, hypoallergenic, and recommended by plastic surgeons and dermatologists across the country. Spa visitors who buy $50 of makeup products will receive a free consultation. To schedule your own skincare makeup meeting, call our offices and speak with our esthetician. What does your skin need to make you look and feel your best? We’ve found that different solutions work for different individuals. Talk to Dr. Pacheco today to share your skincare goals and discuss possible treatment options.